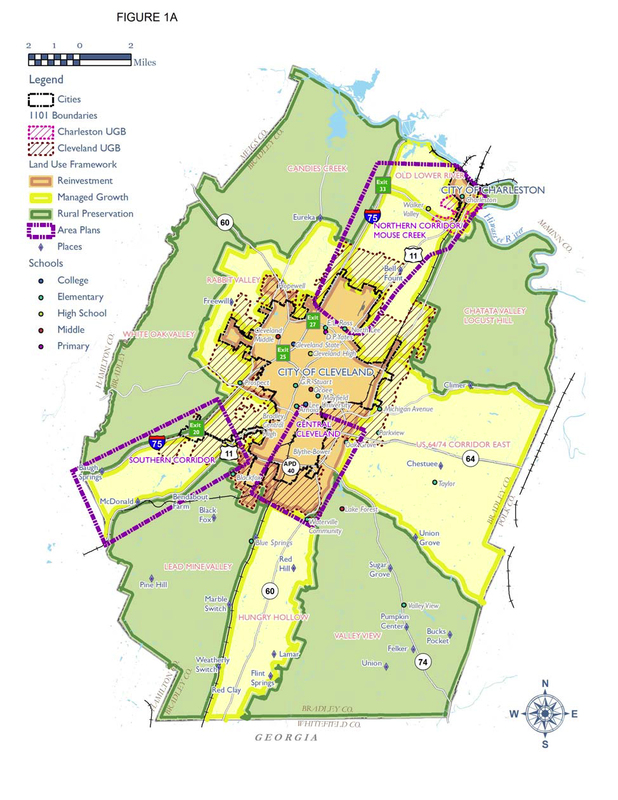 Now that contests over the city’s annexation of key Hixson neighborhoods have been settled in the city’s favor, Chattanooga’s leaders should go forward with annexation of similarly dense neighborhoods in East Brainerd. These neighborhoods — Hurricane Creek, Windstone and Emerald Valley — were considered for annexation in 2009, but action was delayed to allow county government to come to an agreement over consolidation of key urban services. Since county officials have unwisely spurned that idea, the city has no choice but to increase its boundaries to include its natural tax base. Residents of these neighborhoods, of course, will not like the idea. But the larger rationale for the natural growth of the city’s boundaries — which has included dozens of annexations since the city officially adopted its name in 1838 — is too compelling to ignore. If the city doesn’t continue to annex urban growth areas that grow up on its borders — and whose residents rely on the city’s roads, infrastructure, public services and businesses to sustain their jobs, health care, shopping and cultural amenities — it cannot maintain the tax base it needs to adequately sustain the demands on its infrastructure. Without annexation to capture its natural tax base, it would have to raise the city’s property tax rates disproportionately higher, forcing its existing residents to subsidize the cost of services for the neighborhoods that are not annexed. The logic of annexation is irrefutable. The city’s commercial hubs and employment base would not exist if the city did not provide 24/7 professional fire service, more intensive policing, and other commercial grade services (i.e., sewers, waste disposal, roads and traffic signaling) that are necessary for insurance, security and financial viability. They also need the related urban density and customer and employee base that comes with that package. And it is that core base that generates the business and population base that sustains second-and-third tier retail businesses and shops. Thus the people who rely on the city’s vital services that are crucial to the existence of their jobs and daily life must and should pay their fair share of the city’s infrastructure costs through the city’s property tax base. The argument that residents in the county’s other incorporated towns and in the unincorporated areas commonly make is that they pay a fair share of the city’s urban-services cost through the city-county sales tax. But that’s not true, and it’s especially untrue for the free-riders in the unincorporated areas. Sale tax revenue is a relatively minor part of the city’s tax revenue — and half of that sum is paid by city residents, who constitute fully half of Hamilton County’s population. So as unincorporated areas grow, the city must annex to keep from stacking an unfair share of the cost of the county’s urban infrastructure onto city-only residents. There are other options, of course. The fairest is creation of a metro government to apportion the cost of necessary urban infrastructure to the broad base of citizens that use it, regardless of where they live in the county. That works well in Nashville, and it keeps property taxes broadly equitably and relatively low. Shelby County, the home of Memphis and a slew of tiny towns, has adopted a county charter to endow county government with municipal-style powers, ordinances and urban service functions and related costs. Knox County has similar powers. Hamilton County officials, however, inexplicably remain tied to the dark ages of unmanaged and inequitably funded county government and urban infrastructure. They have adamantly refused to consider a county charter government, and the need to organize 24/7 fire departments, countywide waste disposal and comprehensive sewers and land-used planning. They refuse to chart smart planning (even for classrooms and traffic patterns) for the burgeoning growth that lies ahead for Hamilton County. On top of that, they have refused to concede to the city’s alternative need to expand its urban growth boundaries beyond those in the current growth boundary agreement. They apparently, and rather smugly, seem happy to see the city’s tax base shrivel relative to urban demands. Indeed, they often act as if the city is an enemy from which they need to protect residents of unincorporated areas. Given the way they have lined up against the city’s previous annexation plans, you can bet they would howl if the city became driven to impose payroll taxes on residents who live outside the city but work for employers inside the city. It shouldn’t have to come to that, of course. But until enlightened, fair-minded, forward-looking officials take office in county government, the unresolved dilemma of how to fairly fund growth in urban services will continue to cloud the county’s and the city’s future. In the meantime, Chattanooga’s only viable alternative is to annex the urban areas that are now included in the existing growth boundary plan. Mayor Ron Littlefield, bound by a two-term limit and barely 10 months away from the end of his last term, has nothing to lose by annexing remaining unannexed neighborhoods on the city’s boundary. He would serve Chattanooga well by taking advantage of the opportunity. We would like to thank everyone that joined and helped with Spring Fest 2012 today. It was great to meet our neighbors and answer questions in our mini-town hall meeting. In an effort to help tell your friends and neighbors, FOH has created a new video to email your friends, family and neighbors. This is a community effort and we NEED YOUR HELP to reach our goal and plan our own future. Please take time to watch the latest video and tell everyone to sign the petition. Ask your neighbors, relatives, friends if they have signed yet. Ask local businesses to support our Hamilton initiative. Remember, each person has to sign it for themselves. If you are not registered yet, voter registration forms are available at the 6 petition locations found on our website. Please ask questions on our Facebook page or sent to info@FriendsOfHamilton.org. That you for your continued support!. Click to watch the video new Spring Fest Video below. Friends Of Hamilton Spring Fest – Sat May 12 1-6pm. View more FOH Videos below. A large wave of annexations in the name of future development is sweeping through Collegedale, with another wave on its way soon. And some of the city’s newest residents are upset about it.Three families protested the annexation of their properties into Collegedale during a commission meeting Monday night. Commissioners stamped their approval on annexing 22 parcels of land in different locations around town. One of those parcels included Don Chastain’s three homes and a business on 155 acres at 10020 Lee Highway at the corner of the railroad tracks at the beginning of Edgemon Road. “I think you know how I feel about being annexed, I just want to make it official,” Mr. Chastain told commissioners. He said later that taxes were the motivation for the city to annex his parcel. Joel Richardson, property owner of 121 acres across the street from Mr. Chastain’s land, was also upset. A lawyer representing Mr. Richardson called the move to annex inappropriate, unreasonable, and illegal. “(The land’s) very, very rough terrain to rezone for commercial use,” Roger Dickson told the commission. “Doughnuts,” or county property surrounded by annexed city property, were the cause of much concern of both residents and city officials. One such doughnut would lie in the middle of Mr. Richardson’s annexed land. Currently, the land is not in use. “I don’t think anybody can argue that (the city) can benefit from this property,” attorney Dickson said. Besides a higher property tax rate, Mr. Richardson “would rather not be the city of Collegedale,” attorney Dickson said. Mr. Richardson said he would discuss with his lawyer the possibility of taking the city to court over the annexation. Throughout the meeting, city officials mentioned future economic development as the reason for most of the annexations, as well as providing easier access for first responders. As far as illegal moves by Collegedale, City Attorney Sam Elliott said the proximity of land as part of the urban growth boundary is legal if a parcel is contiguous to other city property. “On its face, the annexation is reasonable because it went through the urban growth process in 2001,” he said. One resident moved to her house at the eastern city limit on Tallant Road to get away from city life 24 years ago. Now Nancy Reykdal said she and her husband have to give up county services and deal with a 27 percent property tax hike by becoming Collegedale residents. Ms. Reykdal expressed surprised that other land parcels were not annexed along her road. “Talk about doughnut holes, this is a very large doughnut,” she said, referring to the 350 acres of county property she said rests between her house and the center of town. “My husband and I question if city hall has any concern for our personal health, safety and welfare,” Ms. Reykdal said. There was a moment of silence. Dr. Hanson asked city planner Kelly Martin to explain. Mr. Martin talked about how the Reykdal property indeed rested on the city boundary. He added, “This is the first step in closing doughnut holes” to improve public services to “provide health, safety, and welfare” for citizens. “Our neighbor will be in a doughnut hole that you are creating by annexing us,” Ms. Reykdal responded. Mayor Turner said many residents ask for annexation into the city. Even rough terrain such as the parcel Mr. Richardson owns could be developed commercially, Mayor Turner said, although no specific plans are in the works yet. “Bulldozers change a lot of things,” he said, pointing out Cameron Hill in Chattanooga as an example. Other property annexed Monday night includes land near the Volkswagen exit and parcels close to the Ooltewah railroad crossing near Ooltewah First Baptist Church. In his report, Vice Mayor Tim Johnson suggested the purchase of electronic tablets for the commissioners. The tablets would help handle all the paperwork coming through the pipeline for more annexations. “We got a ton more (paperwork) coming,” he said. The planning commission will meet at city hall next Tuesday at 6 p.m.
Cleveland is looking to grow their boundaries towards the Hamilton/Bradley County line at a greater pace, which will limit Georgetown, TN residents options to incorporate and take away future choices. This is clear as the first phase of Highway 60 expansion project from I75 Exit 25 to Highway 58, continuing on to Dayton, TN will only accelerate growth along 60 corridor. Lawyers on both sides of the annexation debate can claim a small victory Wednesday tonight. A settlement has been reached in the annexation of some Hixson locations. The Ramsgate and West Point subdivisions,and a small portion of Big Ridge Road, will now be annexed into the city effective December 31st, 2013. That means they won’t be on the city tax rolls until 2014. Both sides’ attorneys and the judge have signed off. But now the City Council must approve the settlement. Abbott thinks it should be discussed during next week’s City Council meeting.